Place the haddock fillets in a shallow pan and cover with the milk. Simmer gently until fish is cooked. 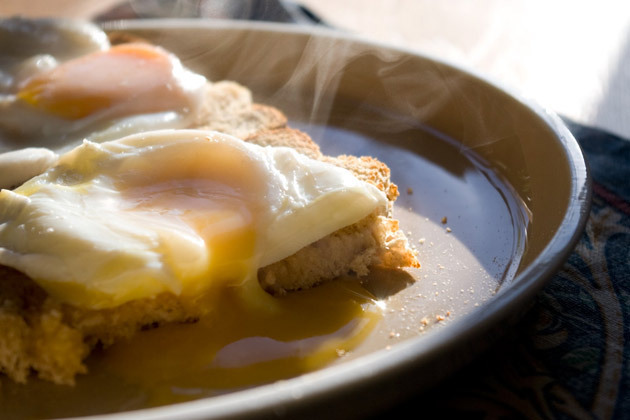 Serve alongside the bread and topped with a poached egg.